This shows up in their hit "She Loves You". Unusually, the song starts with the hook right away, instead of introducing it after a verse or two. "She Loves You" does not include a bridge, instead using the refrain to join the various verses. The chords tend to change every two measures, and the harmonic scheme is mostly static. "Eleanor Rigby" is played mainly in staccato chords with melodic embellishments. The song is a prominent example of mode mixture, specifically between the Aeolian mode, also known as natural minor, and the Dorian mode. Set in E minor, the song is based on the chord progression Em-C, typical of the Aeolian mode and utilising notes ♭3, ♭6, and ♭7 in this scale. The verse melody is written in Dorian mode, a minor scale with the natural sixth degree. "Eleanor Rigby" opens with a C-major vocal harmony ("Aah, look at all ..."), before shifting to E-minor (on "lonely people"). The Aeolian C-natural note returns later in the verse on the word "dre-eam" (C-B) as the C chord resolves to the tonic Em, giving an urgency to the melody's mood. The Dorian mode appears with the C# note (6 in the Em scale) at the beginning of the phrase "in the church". The chorus beginning "All the lonely people" involves the viola in a chromatic descent to the 5th; from 7 (D natural on "All the lonely peo-") to 6 (C♯ on "-ple") to ♭6 (C on "they) to 5 (B on "from"). This is said to "add an air of inevitability to the flow of the music (and perhaps to the plight of the characters in the song)". "Strawberry Fields Forever" was originally written on acoustic guitar in the key of C major. The recorded version is approximately in B♭ major; owing to manipulation of the recording speed, the finished version is not in standard pitch (some, for instance, consider that the tonic is A). 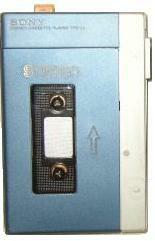 The introduction is played on a Mellotron, and involves a I–ii–I–♭VII–IV progression. The vocals enter with the chorus instead of a verse. In fact we are not "taken down" to the tonic key, but to "non-diatonic chords and secondary dominants" combining with "chromatic melodic tension intensified through outrageous harmonization and root movement". Lennon's lyrics "A Day in the Life" were inspired by contemporary newspaper articles, including a report on the death of Guinness heir Tara Browne. John Lennon wrote the melody and most of the lyrics to the verses of "A Day in the Life" in mid January 1967. Soon afterwards, he presented the song to Paul McCartney, who contributed a middle-eight section. In many ways, the opposite of Eleanor Rigby in that it is rich and complex harmonically speaking. The first time Paul really spreads his compositional wings and takes bigger risks with ascending major chord sequence. The introduction beginning "To lead a better life" opens in the key of G and involves a I–iii–♭III–ii–V7 chord progression. The ♭III (B♭ chord) on "I need my love to be here" (arpeggiated in the melody line) is a dissonant substitute for the more predictable VI (E7) that would normally lead to the ii (Am) chord. 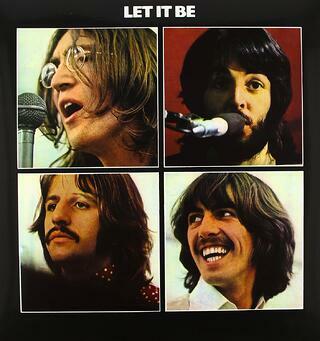 The song as originally issued by the Beatles is in the key of A minor, changing to A major over the bridges. Aside from the intro, the composition is structured into two rounds of verse and bridge, with an instrumental passage extending the second of these verse sections, followed by a final verse and a long instrumental passage that fades out on the released recording. All the sections consist of an even sixteen bars or measures, which are divided into four phrases. The chord progression over the verses includes a shift to a ♭7 (Am/G) on "all" (bass note G) and a 6 (D9 (major 3rd F♯)) after "love" (bass note F♯) to a ♭6 (Fmaj7) on "sleeping" (bass note F). According to musicologist Dominic Pedler, the 8–♭7–6–♭6 progression represents a hybrid of the Aeolian and Dorian modes. The change to the parallel major key is heralded by a C chord as the verse's penultimate chord (replacing the D used in the second phrase of each verse) before the E that leads into the bridge. Musicologist Alan Pollack views this combination of C and E as representing a sense of "arrival", after which the bridge contains "upward [harmonic] gestures" that contrast with the bass descents that dominate the verse. Such contrasts are limited by the inclusion of minor triads (III, VI and II) played over the E chord that ends the bridge's second and fourth phrases. I’d like to introduce you to Tom Kimmel. 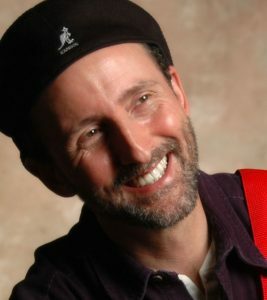 Along with releasing several major label albums as an artist himself, Tom has written songs covered by Johnny Cash, Joe Cocker, Linda Ronstadt and Randy Travis among others. Tom’s insights into the lyric-writing process are well worth a good read. Enjoy! For some of us, a lyric rushes out into the world before we can think much about it and sometimes it’s a fine lyric, just as it is. Other times, even if we feel a strong personal connection with the lyric, it could be strengthened with a little work. On the other hand, often a lyric comes in dribs and drabs, and once we have a complete draft we might be so relieved that we declare it finished prematurely. Ted Kooser, one of my favorite poets, says that even when one of his poems comes out in one piece he still plays with it a bit to see if it might be improved. He hastens to add, however, that no matter how much or how little re-writing the poem requires, he wants it to read as if it flowed from the pen. We songwriters have a similar goal. We want our songs to slide by easily without calling too much attention to themselves even if the lyric has real content and depth. To that end, there are a couple of references I return to. When I’m re-writing a lyric I first ask myself if the song has what I call a strong through the door factor. In other words, I want the words to sound good and to sing well so well, in fact, that if someone heard the song through the door they’d enjoy it! In order to achieve that, I may record a working version of the song-in-progress and listen to it softly or from a distance not analyzing the words, but listening for the sound and flow of the words. Do the words seem to roll off the tongue or do I stumble over certain sounds, words or phrases? 1. Do the syllables I emphasize when singing my lyric coincide with the notes emphasized in my melody? If not, I’ll try to adjust. 2. Do the number or words or syllables I’m placing in my lines and phrases make it easy for me to sing the song? If I’m cramming in too many syllables in a line or phrase, I can experiment with simplifying by making my phrasing less busy. 3. Likewise, I may need to add words or syllables to more closely coincide with notes of melody that I’m emphasizing. 4. Are most of the vowel sounds in my words easy to sing? For example, I’m probably going to avoid placing the words hat or it over a very high note! To consider this when I coach songwriters and lead workshops, I suggest that a song is very much like a three act play. Some of the story – be it a literal tale or an emotional or spiritual narrative – is revealed in the first act, which most often is the song’s first verse and chorus. The second act usually the second verse and chorus is a new beginning; more of the story is introduced and then summed up in the second chorus. The remainder of the story is then told in the third act often the bridge and final chorus. In my own work, if I then see that I reveal too much, too soon in my songI make changes. 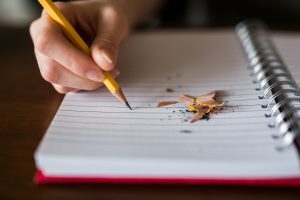 One technique espoused by a friend of mine is to take the first verse and make it the second verse… and to write a new first verse that is more of a prologue… so that the story has somewhere to go! Likewise if the song is slow to develop, I have the option of trying my second verse as the first verse. Experiment! So let’s say I’ve got my song sounding good and I’ve got my story unfolding in a nice way. There’s still one question I ask about my lyric and that is, “Are all the lines in my lyric relevant to my theme?” In other words, does my whole lyric support the point or theme of my song? If I have some filler lines or phrases I’ll probably want to work on the song a bit more. Finally, I have found that considering the above questions gives me a context for my writing. There are numerous details I can attend to, but if I don’t place the work of re-writing into this larger context, then all my work on the details likely won’t bring about the hoped for result. In closing, I’ll share a technique I use over and over in the process of finishing or re-writing. If I’ve come to feel that I’ve been trying too hard to complete something that I’m using too much mental muscle because I’ve lost the creative thread then it’s important that I step away from the song, let it rest and come back to it fresh. It’s amazing how often the right words will bubble up from the subconscious the next day… or soon thereafter. In my opinion, bad song critiquing has gotten more writers in trouble than bad songwriting. A bad song is simply a bad song. But bad song critiquing can hurt a good song. It's frequently done by publishers, A&R people, music supervisors, song pluggers...in short, business people. It's even done routinely by songwriters who don't write as well as you can, who've never had a cut. I don't understand that practice, but it's out there. Even professional songwriters will critique in a dangerous way, crippling the requesting writer in an attempt to help him, by pointing out weaknesses at the exclusion of the strengths of the song. I will frequently inherit the victim of some sort of brutal or idiotic critique. I will invariably hear from a new student, "So-and-so said such-and-such about this song and I don't know what to do about it." I frequently get asked to critique songs and it is a frustrating process. It was so frustrating, in fact, that when I started teaching years ago, I came up a step-by-step method of starting from scratch that streamlines the process and helps create better songwriters. Someone recently sent me a song to critique. He lives in Nashville and he has excellent taste in songs. He knew the difference between good and great and he wanted to be great. In my head I kept hearing the lyric from "I'm Gonna Wash That Man Right Outa My Hair," which says "You can't fix an egg when it ain't quite good and you can't fix a man when he's wrong..."
Well, I wouldn't say you can't fix a song when it's wrong, but I will say you can fix a song only up to a point. I'm constantly being asked, however, to "fix" songs that should have simply been started differently, developed differently and crafted better. Here's the analogy that springs to mind and I shared it with the songwriter from Nashville: You are at sea level. You’re building a house. Your house will be built at sea level. But when it's done, you go to the builder and say "I'd like that house to be at 1000-ft. elevation." His answer is, "No, but I can take you to another town which is 1000 feet above sea level and build that house there." All the years that I was asked to critique songs brought me two things: heartbreak and a realization. Heartbreak came when I had to tell the person there was a serious problem with a song he had demoed for a thousand dollars. The realization was that if you give the person a way to write songs in the first place, he will not have to "fix" every song he writes. The sad truth is that he will not be able to "fix" many of them. He took too many wrong turns and ended up with a song that is simply not his best effort. Imagine you're in a shopping mall. You're trying to get to Bloomingdale's but you don't have a map that says "you are here." So you take one corridor and then another and you may end up in the food court, or at Macy's but you will not end up at Bloomingdale's every time. Maybe every once in a while you'll happen upon it. But your song took a wrong turn at the title, then you took a wrong turn at the first picture or plot point you used to tell the story, then you decided on an ending for THAT story, which wasn't the story you should have told in the first place. Melodically, you settled for a melody that came easily but that doesn't move anyone and "fixing" a melody is even harder than "fixing" a lyric. You can make it stronger by changing some steps to some leaps or going to some less predictable chords. You can even change the rhythmic groove it sits on. But why do all that? Why not just get the best song in the first place? Now don't get me wrong. Some songs are a perfect face with a big wart on the end of the nose. Everyone can see the wart except the writer and it's easy to say "remove the wart" and the song is great. At other times, there's an unexpressed great idea jumping from the page to any experienced songwriter and simply giving the author that suggestion is all that's needed to take the song to the next level. Tweaking is a way of life for songwriters and I'm certainly not saying it's ill-advised or impossible. What I'm referring to is trying to make a song that's a 5 into a song that's is a 10. I used to have a mentor who said he could tell the minute someone walked into the room if he had talent. I used to be suspicious of that comment. But now I know what he meant. Even though this is a bit different from what he said, I can tell immediately, at an open mike, if the writer has the goods. I don't need to wait until the third song, or the third measure, for that matter, although I usually do. Sure, there may be a hole in the second verse you could drive an SUV through, but that song is still sitting on solid ground and can be rebuilt. Sometimes a writer will confess to me that his songs are not made of the same stuff as the great songs--the ones you listen to and say "I wish I'd written that." There's a kind of depth to a great song that a good song just doesn't have. If you aspire to write great songs that will live on after you have no more teeth to gnash over your bridge (no pun intended), then stop asking people to "fix" your songs. Simply become a better songwriter by either studying the work of great songwriters or finding a mentor or book. Then you won't have to put up with all the inane critiquing on the part of "industry guests" who are not songwriters and should restrict their comments to "I can use it" or "I can't use it." Even car dealerships don't let the salesmen work under the hood. An oyster makes a pearl when some foreign piece of matter, like a grain of sand, has entered the oyster and he covers it with layers of nacre (mother of pearl). Basically, he’s sort of spitting at it because it’s an annoyance. I think songwriters are like that. If something is stuck in our craw, so to speak, we spit at it until we get a song. Or if we are longing for someone, unbearably, we write a song to give an outlet for all the feeling we can’t express to the missing or oblivious person. There’s usually an element of “reaching for” or “unfulfilled” or “discontent” before a pearl of a song comes out. This doesn’t mean all songs are going to express anger or longing. Sometimes, there’s a longing to express gratitude or abiding devotion. But there’s a longing there, nevertheless. It’s hard to express these things in day-to-day existence. I just got an assignment from one of my correspondence course students which is going to lead to a very positive song for his wife. I dare say it will have some lovely pearls she has never heard, even over the most romantic dinner. Art has a way of condensing and purging deeper emotions that mere conversation isn’t capable of expressing. So where do we get the piece of sand? I’m sure there are a few things bugging you at the moment, but they would not all be great songs. In looking for a dry and boring subject to illustrate this point, my first thought was that the IRS would not necessarily inspire a good song, but then I remembered Alfred Johnson’s song “W2” and realized that in the hands of a skillful songwriter there are no bad subjects. But is there a rule of thumb? What might work better than what? I’ve been interested for a long time in what brings inspiration. It seems that having a certain distance from that which is inspiring us is essential, even if you have to find a way to get that distance on purpose. It’s no accident that there’s an expression, “Never marry the muse.” A muse is worth its weight in plutonium. I’ve known people who have stayed in totally bogus relationships only because of the songs that person inspired, when in fact, there was no real relationship in the first place. But it was the equivalent of the eggs that Woody Allen mentioned at the end of “Annie Hall.” He did it for the eggs. We do it for the songs. And for some reason, doing anything that will close that distance changes the person from being a muse to being someone too close to serve that purpose. I recently read a poem by Wislawa Szymborska, a Nobel prize winner and one of my favorite poets. It’s called “I am too close,” and one of lines, and the recurring theme, is: “I am too close for him to dream of me.” She writes about having her arm under her lover’s head as he is dreaming of an usherette he saw once. She nails this concept better than I’ve ever heard it discussed. We frequently write (and dream) about fantasies and longings, much more than we dream of those closest to us. On the other hand, those of us who want to have it all try to find a way to long for what we have. Goldie Hawn once said in an interview that she fantasizes about Kurt Russell, her long-term partner. This keeps the dream alive and is something I consider very good advice. There is a rampant viewpoint that the thrill of the chase is the only thrill there is. After the “prize” is “won,” the game is over. This is patently an unevolved viewpoint, but it’s so ingrained and reinforced by films and novels and songs, that we sometimes forget we have a choice. The reason I mention this in a songwriting article is that it affects the way we write. It’s not just ruining our love lives; it’s ruining our songs. It’s also helpful to know the difference between something you’re writing about and something you want to curl up with for a lifetime. Some people try to harness the muse and get it to go in an “appropriate” direction. The catch-22 of this is that only when you know yourself very well can you get this to work. And most people who know themselves very well have given up trying to steer the muse. They just let it be where it is. So back to our oyster analogy. It used to require a search of over 1000 oysters to find one pearl. 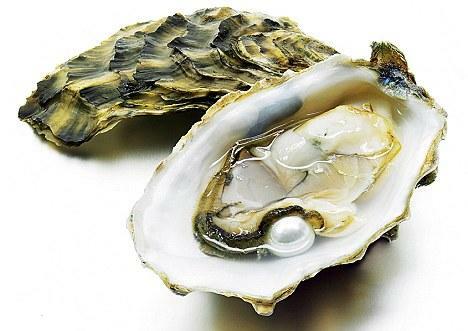 Now, cultured pearls are made by putting a bead in an oyster and putting him back into the water. Then the pearls are collected. The cultured pearls are made the same way as naturally occurring pearls, except that some enterprising person decided to help nature irritate more oysters into making pearls. I realized while thinking this through that I do that on a daily basis with songwriters. I don’t have to insert the grain of sand like the person making a cultured pearl does. The songwriter already has one. They just don’t know where to look until I direct them. Once they get the knack of it, they’re off and writing. Take a look at your own life. See where your beads are, and I don’t mean the perspiration on your forehead when you’re trying to pull a song out of nothing. There are plenty of sources of inspiration. Get out your radar and find that muse. She may be perched on the question mark of an old relationship. She may be looking out from the eyes of your present beloved. Or she could be leaping from the pages of an editorial that gets you crazy. Muses love to hide. But you’re a songwriter. It’s your job to find them. Go with your inspiration, but don’t neglect these other elements that will make your song the best it can be..
“Which do you write first, the music or the words?” This is the classic question that all songwriters get asked. In my experience, there’s no easy - or correct - answer to this one. Sometimes it’s the music, sometimes it’s the lyrics, and, often, it’s some mystical, organic combination of the two. More importantly, there is no one way to write a song. Some of the best - and worst - songs ever written were created using the same techniques. To that end, I’m going to cover four different ways to approach writing a song and some of the “dos” and “don’ts” you’ll want to keep in mind as you go through each one. Coming up with a really catchy title or lyrical hook is an art in and of itself. If you’ve got one, congratulations. Now that you’ve got it, here are a few things to keep in mind. Do remember to make sure that everything in your lyric points to and supports your lyrical hook. Having a catchy hook only works if you build a foundation around it so that when the hook arrives, there’s a sense of drama and release. Don’t forget to give the song real emotional content. It’s possible to be so focused on the hook and setting it up that you forget to be sincere. While the average listener might not be able to tell you why, the song won’t move them in the way that a song with genuine emotional content would. Sometimes you’ve been through an experience or have an idea for a song that feels important enough to write about. That’s as good a place as any to start. Do capture the feeling and emotion of your concept. You obviously felt strongly enough to want to write about this idea, so immerse yourself in it and really tell the story. Don’t be too vague. Because you haven’t started with an actual lyrical hook, you’ll need to remember to bring your overall concept to a very sharp point by summarizing it with a phrase or hook line. This hook is something you’ll hopefully come to as you’re developing your lyric around your idea. A story without a summarizing point or hook risks being too unfocused to keep your listeners’ attention. If you’re a melodic writer, then you’ve got a different set of challenges. Beautiful, catchy melodies are a rare commodity and should be treated with the appropriate respect. Do honor your melody and build your song around it. Remember, people will learn your melody long before they learn your lyric, so having a good one is not to be taken lightly. Don’t let the melody box you into awkward words or watered-down phrases. While a beautiful melody is one part of a song, it’s not the only part. Cramming in words or compromising on your lyrical integrity isn’t an acceptable approach when writing from a melody. Remember, it’s the give and take of a catchy melody and a natural, conversational lyric that makes for a great song. When you pick up your guitar or sit down at the piano, often it’s a chord progression or groove that comes first. Great! Do dig in and develop the groove and feel. This can really set the mood of a song and inspire all kinds of interesting melodic and lyrical ideas. Also, a good groove is the very first thing the average listener will notice when they hear your song. Don’t rely on a chord progression or groove at the expense of your melody and lyric. This is no time to get lazy. A chord progression and groove in and of itself is only - in most genres - an arrangement idea, which doesn’t really constitute a song. Without a strong melody and lyric, it’s entirely possible to have a great sounding track, and, unfortunately, a mediocre song. As I stated at the top of this article, there isn’t one “right” way to write a song. I’d highly recommend trying every possible songwriting approach you can. Often, as songwriters, we find ourselves in a rut where we go back to the same approach over and over. While this may be comforting and even result in increased productivity, in the long run, it might not provide you with the most inspired or unique songs you’re capable of writing. Why not leave your comfort zone and try a couple of different ways of writing? You never know what you’ll get. As a songwriter you cannot always rely on a blinding starburst of cosmic inspiration to suddenly overwhelm you and magically cause you to run off and write a songwriting masterpiece. Songwriting is hard work just like anything else that is rewarding or worthwhile. 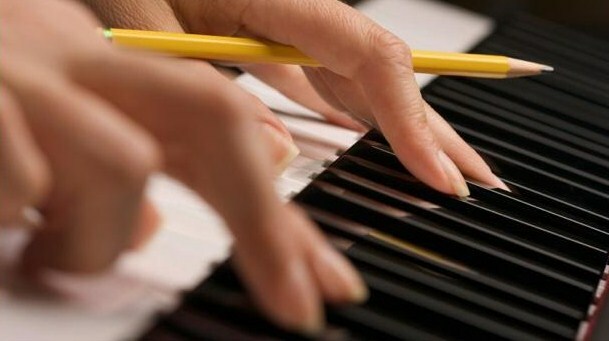 Even though writing songs may be a pleasurable task and something you love to do, it will still be a concentrated effort in order to get all of the interwoven intricacies of the melody, lyrics and the rhythm feeling just right. In constructing a song, the mood of the lyric must match the mood of the melody and vice versa. This feeling or mood needs to be transferred to the listener so that they “Get It” and get the right message and that message is the overall feeling that you are trying to convey. Be precise and concise! Don’t confuse the listeners with long-winded flowery or syrupy words that would never be used in everyday conversation. Make the lyrics uniquely your own, well thought out and clever, yet uncomplicated; and the same rule should apply to the melody and chord change structures as well if you want to write successful popular songs. Written by Ray Burton, hit songwriter of Helen Reddy’s “I Am Woman”. 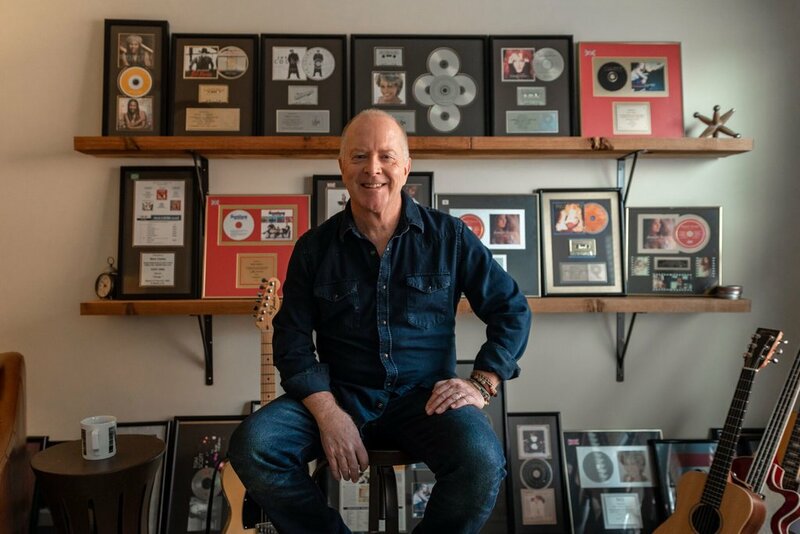 He has also worked with many of the giants in the business - Billy Joel, opened for the greats like QUEEN, AMERICA and many, many more. Bands include the world renowned original CROSSFIRE. Founding member of AYERS ROCK. 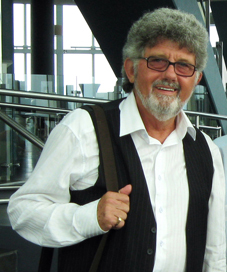 Lead singer in the top pop band of the 70's THE EXECUTIVES.The silent achiever Ray continues to write for fellow music artists and musicians and offers a catalogue of over 200 songs much of which is new material as yet unrecorded. Last year, I wrote an article for the USA Songwriting Competition called “Writing Words to Music.” This year I’d like to explore the other side of that coin. Since I write both words and music, and mostly write alone, when I collaborate, I prefer to have the finished lyric or finished melody to work with. If someone gives me a finished lyric, I read it first…in rhythm. The rhythm of the words will dictate much of what I do as a composer. I’ve seen some composers try to make a lyric fit a melody idea they have. This is often like putting a square peg in a round hole. You have to be completely free to start from scratch. I love writing to Arthur Hamilton’s lyrics (he wrote words and music to “Cry Me A River” among other hits). That’s because he writes short lines that are much easier to write a good melody to than longer lines with more beats. I had a student the other day who was having trouble coming up with a good melody for her song but when we analyzed the lyric, both the verse and chorus were in iambic pentameter. It could have been Shakespeare! This would make the verse sound a bit like the chorus and give the overall song a sameness. So, if you’re choosing a lyric to set to music, look out for that. It’s a road to heartache. So you have a lyric and you put it in front of you and your instrument. You’ve read it out loud and gotten a bit of the rhythm. Now what? I don’t sit down without my recorder. I just use a small digital recorder and I don’t go to the piano without it. I start singing the words and playing chords. And I record everything. Sometimes I have a drum track going before I start, usually not. But I try to get a rhythmic feel before I start. I record whatever comes into my mind, with special attention to the chord changes as well as the melody. Then I turn it off and walk away. In a few hours or a few minutes, I’ll go back and sing another melody into the recorder. Sometimes I don’t try another one until the next day. But I NEVER listen back until I have about ten different melodic approaches. Once you listen back, the melodies start to sound really good and then you can’t think of other things. It’s like a movie director who falls in love with his temp track because he’s heard it so many times. Don’t listen back, as tempting as it may seem. After you’ve gone through this, then you can listen. Try to get your first impressions of each melody the first time you listen through the melodies. After two listens, they’ll start to sound good because they’ve broken the unfamiliarity barrier. You need your first impression. Does the melody sound inevitable yet not predictable? Does it make the hair on your neck stand up? Is it memorable without being derivative? Of course, it has to fit the mood and intention of the lyric, but I’m assuming all of them do that. Now you get to play it for the lyricist. Usually he or she is just thrilled to have a great melody to the words. Sometimes, though, there’s a dummy melody in his head he wrote it to and when your melody veers from that rhythmic approach or emphasis on certain words, etc., he can be surprised and will have to hear it a few time before he warms up to it. I have heard that Bernie Taupin, also a composer himself, was often a bit shocked when he heard Elton’s melodies to his lyric because it was frequently so different and unexpected. I’m sure he found a way to make peace with that over the lucrative and record-breaking years. Remember, the greatest lyric in the world will simply never be heard without a good melody. It’s the wave length on which the words travel and without it, they’re not going anywhere. Harriet Schock wrote the words and music to the Grammy-nominated #1 hit for Helen Reddy, "Ain't No Way To Treat A Lady" plus many songs for other artists, TV shows and films. She co-wrote the theme for “Jakers! The Adventures of Piggley Winks,” currently showing in 30 countries. She and her band were featured in Henry Jaglom’s film “Irene In Time” performing 4 of Harriet’s songs. 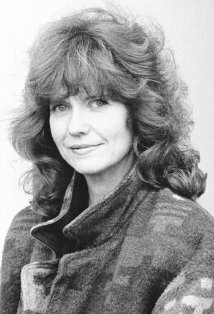 She also scored two other Jaglom films and is starring in the current movie “Just 45 Minutes from Broadway.“ Harriet is in the process of writing the songs for “Last of the Bad Girls,” a musical with book by Diane Ladd. Karen Black wrote the play, “Missouri Waltz,” around five of Harriet’s songs, which ran for 6 weeks at the Blank Theatre in Hollywood as well as in Macon, Georgia. Harriet teaches songwriting privately, in classes and a popular online course by private email. In 2007, Los Angeles Women In Music honored Harriet with their Career Achievement and Industry Contribution award. For her performance schedule, list of credits and samples of her work or information on herbook (Becoming Remarkable, for Songwriters and Those Who Love Songs), her songwriting classes and consultation, go to: www.harrietschock.com.